For me, Nature is king (queen?) in the garden. I'm not talking about a "natural" look to the garden, as if you've stepped off a hiking trail somewhere, or discovered a hidden glade or meadow. I'm talking about the things in the garden: I want them to be provided primarily by Nature: plants of course, but also stones, rocks, boulders, tree stumps, logs -- essentially plants, stone, and wood. At the same time, I think there is definitely a place for man-made objects and materials in the garden too: glass, metal, fabrics, concrete, and ceramics. 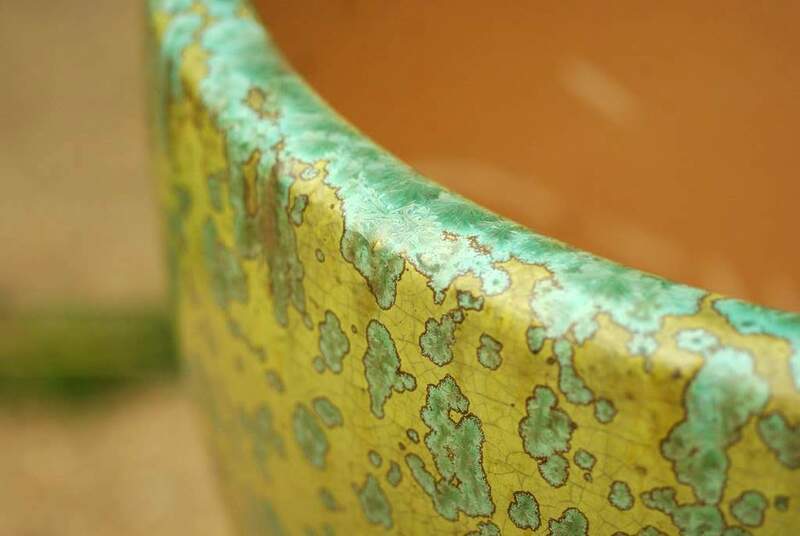 One of the most important uses of ceramics is in glazed pottery. I think a nice, colorful pot can do so much when used in the right way in the garden, and to allow gardening where there is no soil (like on a deck). 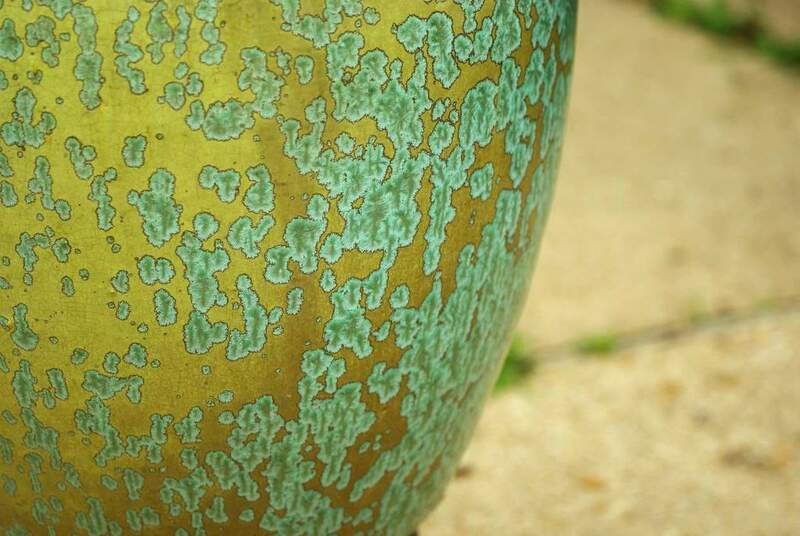 I really love a big, heavy, beautiful ceramic pot, and recently I received what is probably the most beautiful pot in my collection. 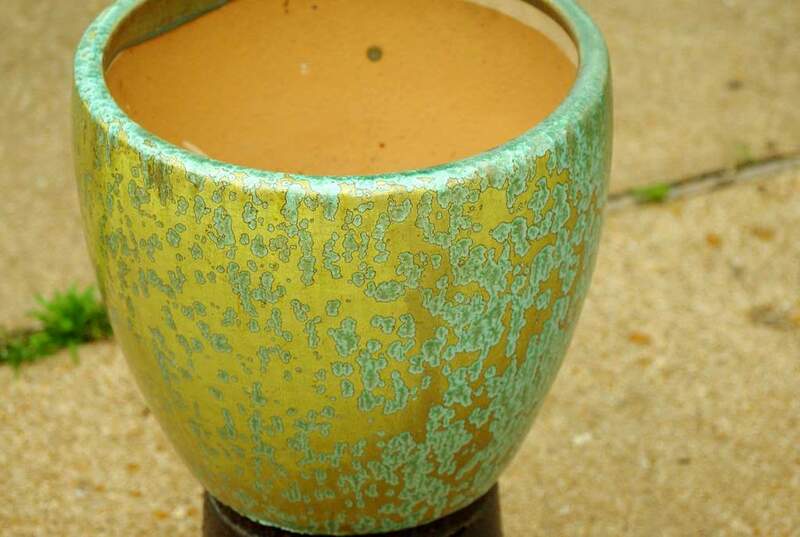 I mainly like pots with colors that are "earth tones", and this one is mainly brownish-green, or greenish-tan -- something like that -- "goldenrod" maybe? 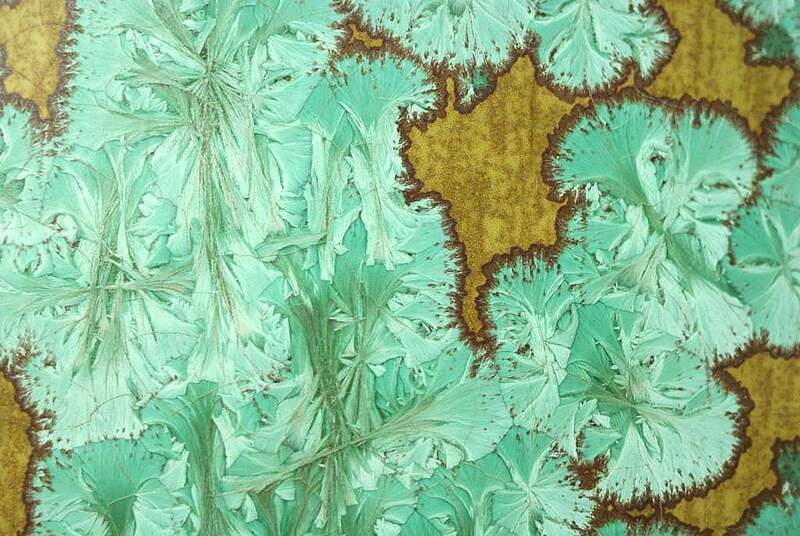 The crystalline pattern is really incredible! I love the way it looks like frost, and I'm really curious what process was used to create this effect. 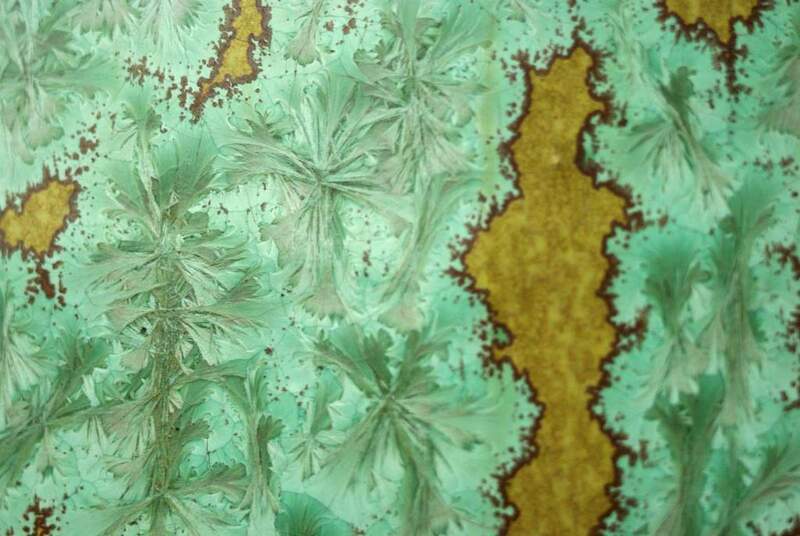 The dark edges of the splotches are perfect too, and I suppose that the chemicals that produced the "frost" pushed the existing glaze color along in front of it as it expanded, creating a dark "shoreline". I could be completely wrong. One side of the pot has very small sploches, and they get more dense as you move around the pot, until there is almost no "goldenrod" showing at all. The problems with a really beautiful pot like this are: 1) finding an appropriate plant that doesn't overshadow the pot, and 2) putting it someplace very visible. It's probably too large to put in the middle of the small table on my deck, but in that location I could sit and stare at it in comfort for as long as I wanted. Wherever it ends up, I'm glad to have this incredible man-made object as part of my garden! I forgot to mention that I also love the shape of this pot. Not ideal for bamboo because it gets slightly smaller at the top, but a nice, clean, simple shape. Alan, I love that pot, too. A real find! 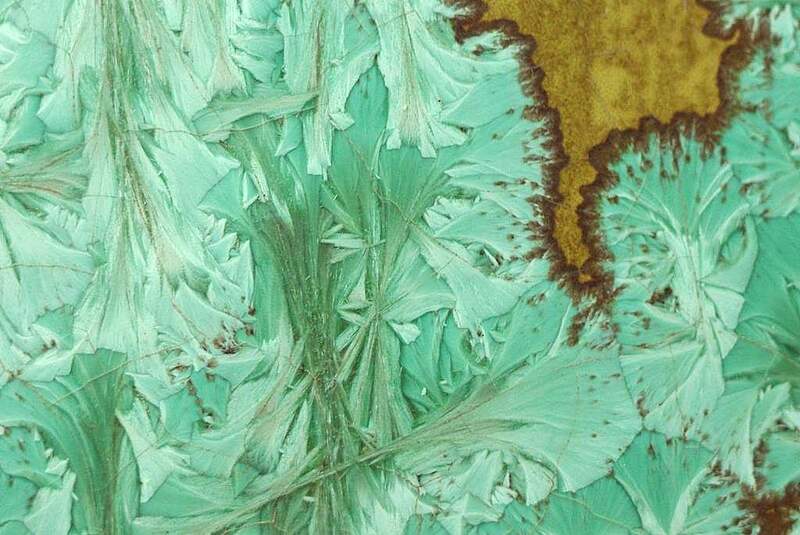 I think crystalline pottery is stunning. Check out this guy's work: http://www.handspiral.com/blog.htm. No large garden containers, unfortunately, but they'd be too expensive anyway. 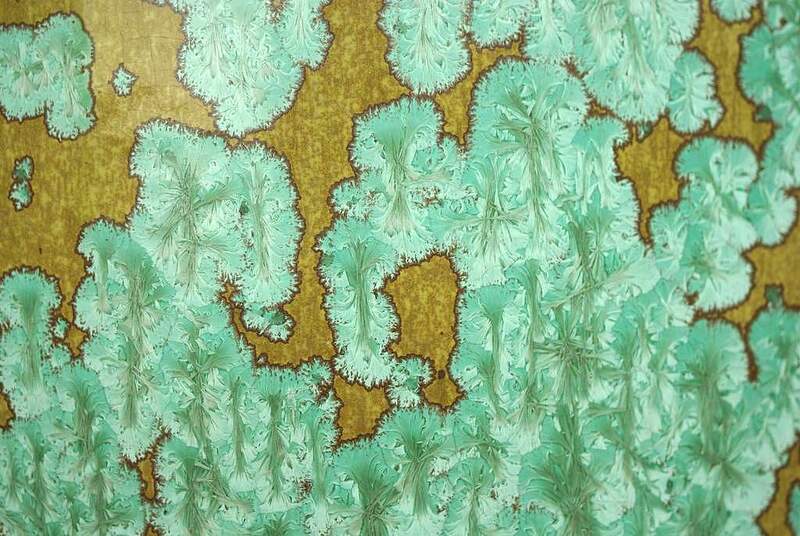 It does look like lichen! Pots are really important in the garden and this one is outstanding. Beautiful! The intricacies of that design are amazing and will be an amazing addition to your garden. 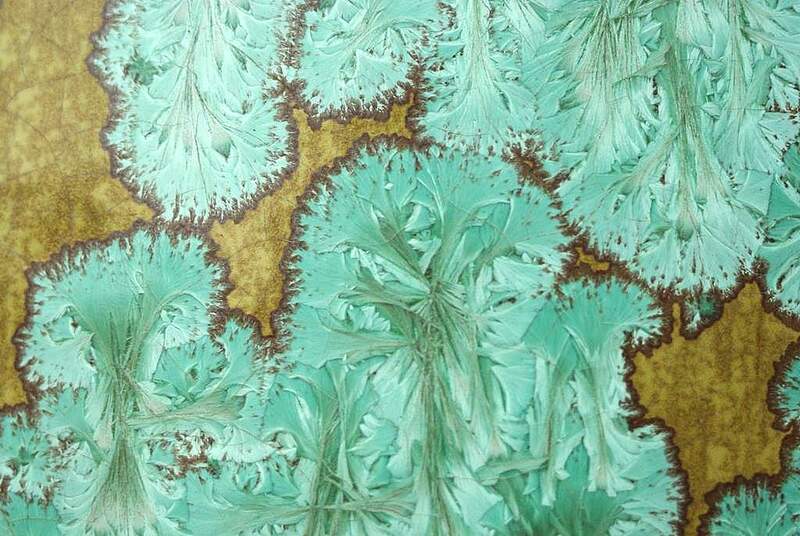 What an interesting glaze pattern! That's something I've never seen before, especially on a garden pot. What a great addition, and I think the bamboo sounds like a stunning paring. 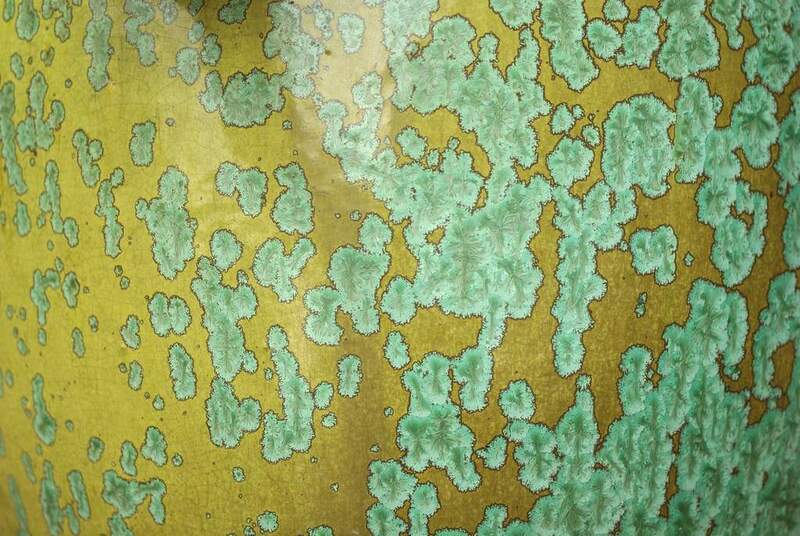 Your pot is truly beautiful, the pattern is so like lichen. Could the pot be salt glazed do you think, where salt is thrown into the kiln to react with the glaze? I would leave it empty, put it on a plinth, use it as a focal point and enjoy!